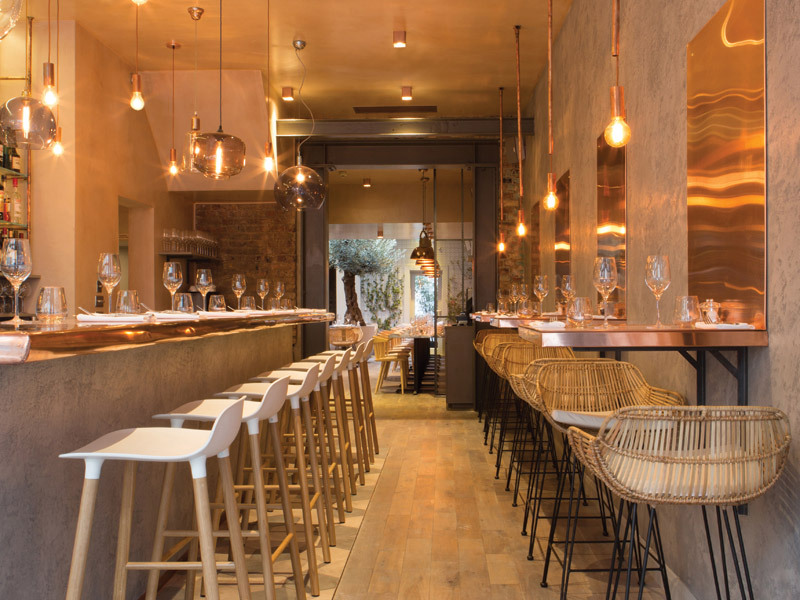 Kinnersley Kent Design has delivered a warm and contemporary design scheme for restaurant Bandol, located on Hollywood Road in Chelsea, to complement the rustic southern French cuisine being served to some 70 diners. Presented with a 'narrow spatial arrangement' KKD's challenge was to ensure natural light circulated the space. 'Additionally we had to be as clever as possible to achieve a feeling of luxury on a relatively tight budget, which also had to cover an entirely new kitchen', says KKD associate director Jenny Andersson. By creating a wall opening between the bar and the restaurant KKD has introduced sightlines from the entrance and through the space, in addition to gaining ceiling height after reconfiguring the air-conditioning system. Cleverly positioned, large-scale mirrors also enhance the feeling of space, with the skylight, new window and glazed door ensuring the ground floor area is flooded with natural light. Copper plays a key role in the scheme, featured alongside distressed oak, steel, concrete, brick, smoked glass and artful lighting. A spectacular lighting feature of 24 glass pendants spaced out in different sizes, lengths and colours, greets guests at the restaurant's bar. Cantilevered, L-shaped copper panels continue up the wall, lit by bespoke bare-bulb, copper-pipe pendant lights. 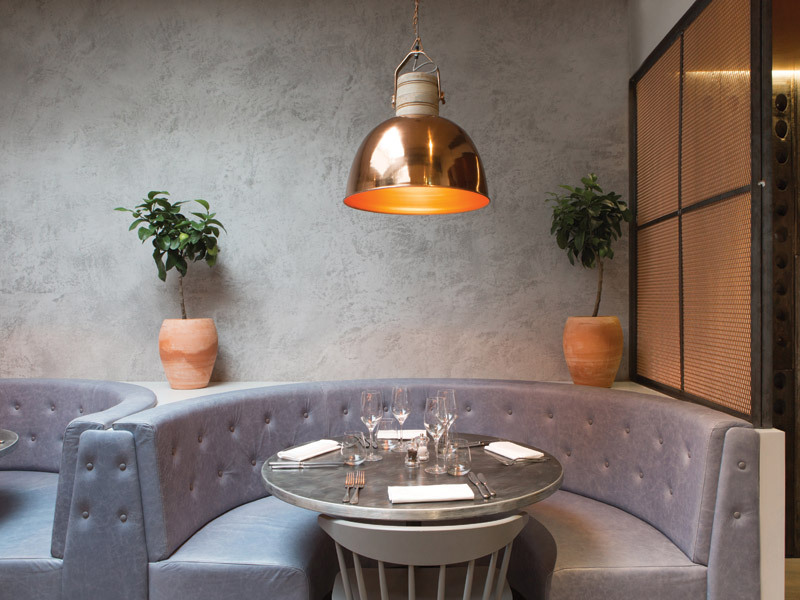 Tables in the main restaurant space are in bespoke, patinated zinc, with natural wood and pale grey chairs from Hay. There is also lower seating in the centre with retro-style wicker chairs, and two sets of bespoke banquettes. 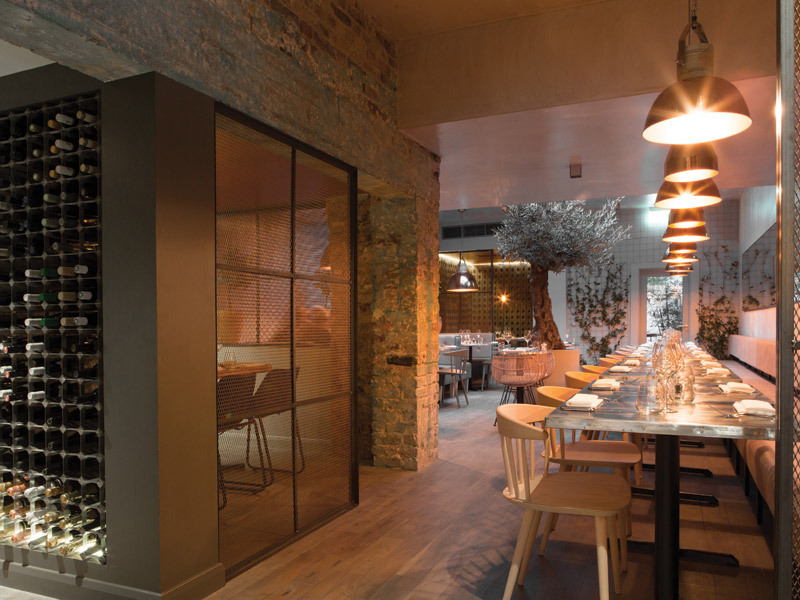 Two semi-private dining areas are enclosed by floor-to-ceiling screens of mild-steel frames and copper mesh. 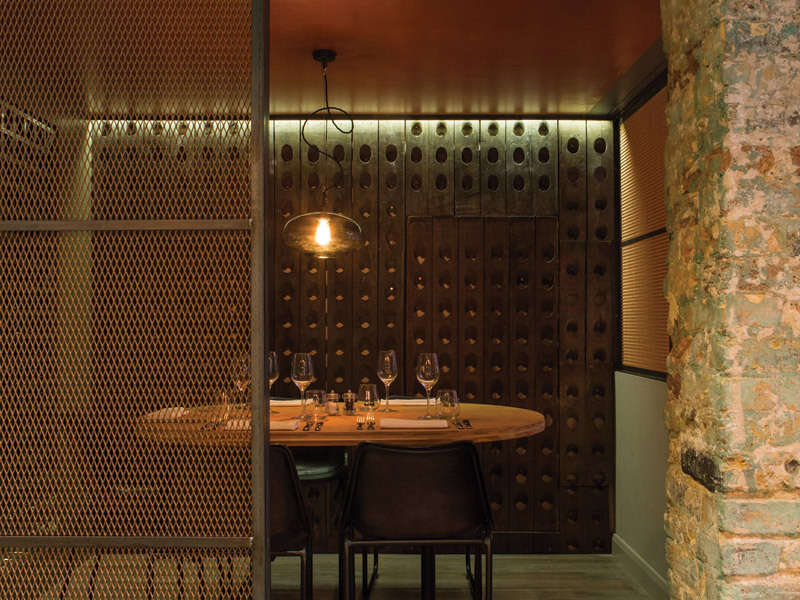 Reclaimed riddling racks, sourced from France and traditionally used to store champagne, are used in these dining areas as wall panelling. The furniture specification slightly differs in these two spaces to include bespoke bamboo table tops and black leather, steel-framed dining chairs from Rockett St George. 'Our design DNA for the space was the use of copper throughout as a signifier of the warmth of the Provence and Riviera regions', Andersson says. 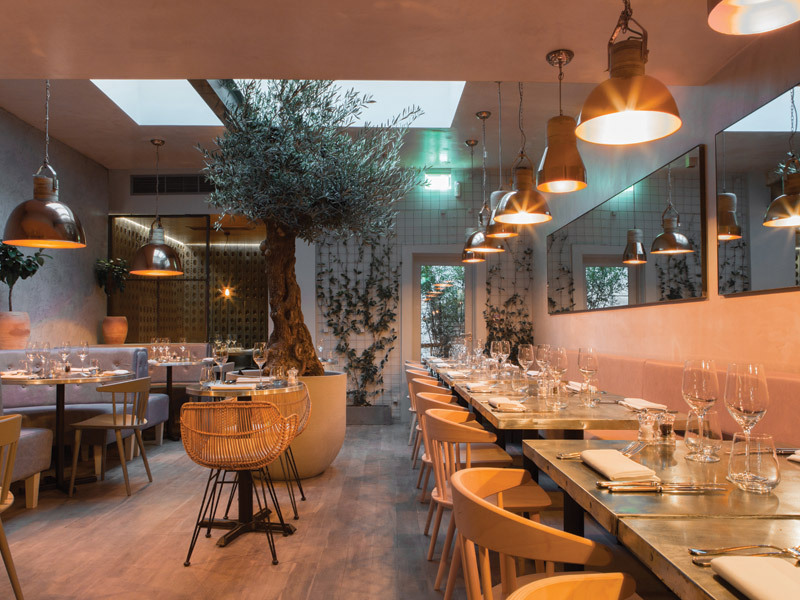 This was teamed up with the paler materials palette through which, along with the inclusion of natural light, KKD has introduced a little Riviera warmth and charm to Chelsea.